Apple New Zealand has this week announced brand new Retina MacBook Pro models with faster CPUs, more memory, upgrade to OS X Yosemite and more. 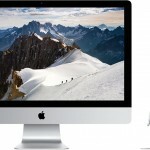 Upgraded CPU – Meaning MacBook Pro is now much faster. More memory RAM – Meaning you can run more programs at the same time, faster. Free upgrade to OS X Yosemite later this year. Just 1.8 centimetres thin, strong aluminium design. Great battery life – Great for school/uni! 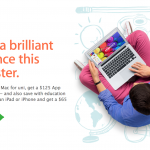 Free iWork (Office suite Pages, Numbers & Keynote). Free iLife (Photo, Video, Music editing programs). MacBook Pro is available in 13-inch and 15-inch starting at just $1,599. Purchase the new MacBook Pro from the Apple Education store and save up to NZ$220!